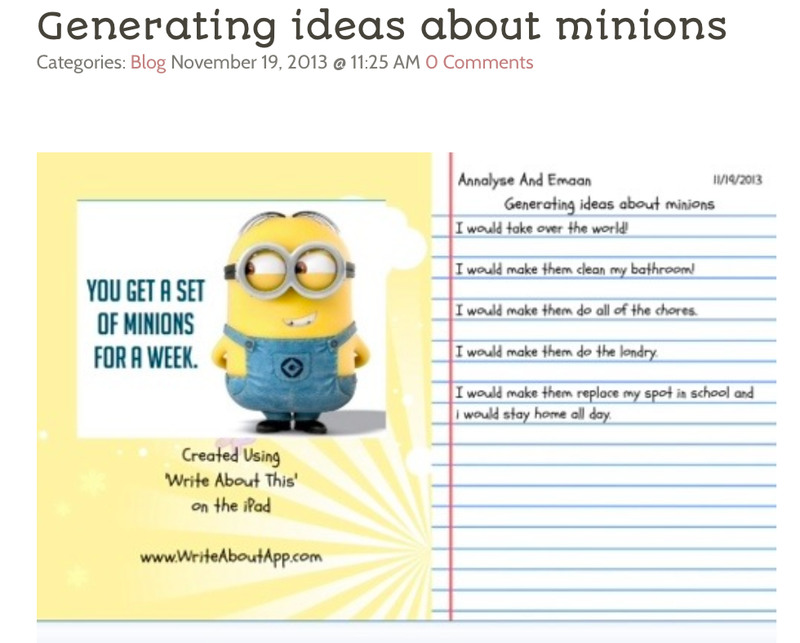 The third way we are working on generating ideas is with the Write about this app.Click Here There is an option for this app to create your own writing prompt. 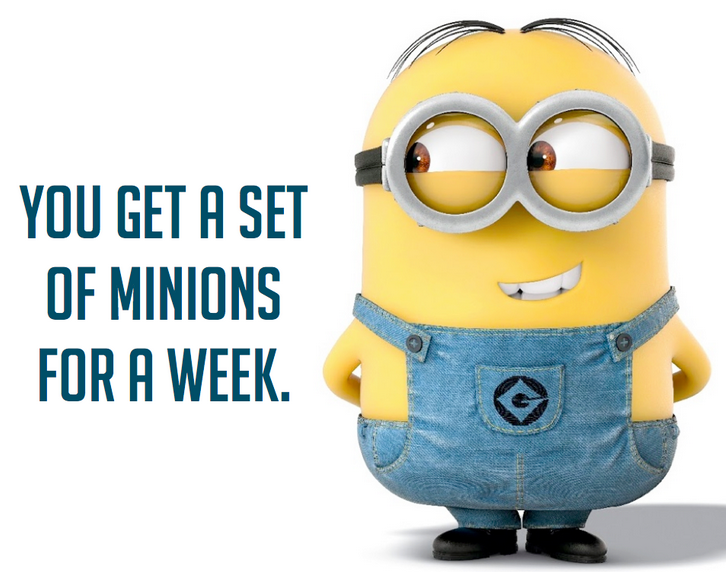 I found a fun image that I knew my students would love! 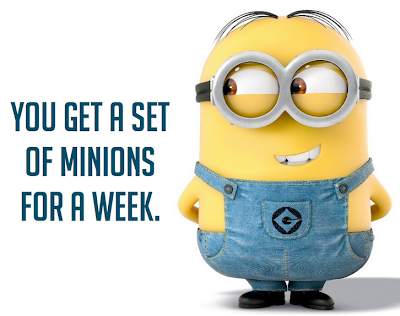 I took a screenshot of the minion prompt and saved it to our school photo stream. All of our iPads have access to the photo stream so they could choose the minion image in the photo stream to use it in the app. 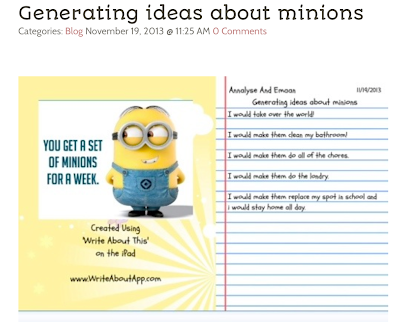 I love that the students were able to generate the ideas on the app, then it can be saved to the photo roll. 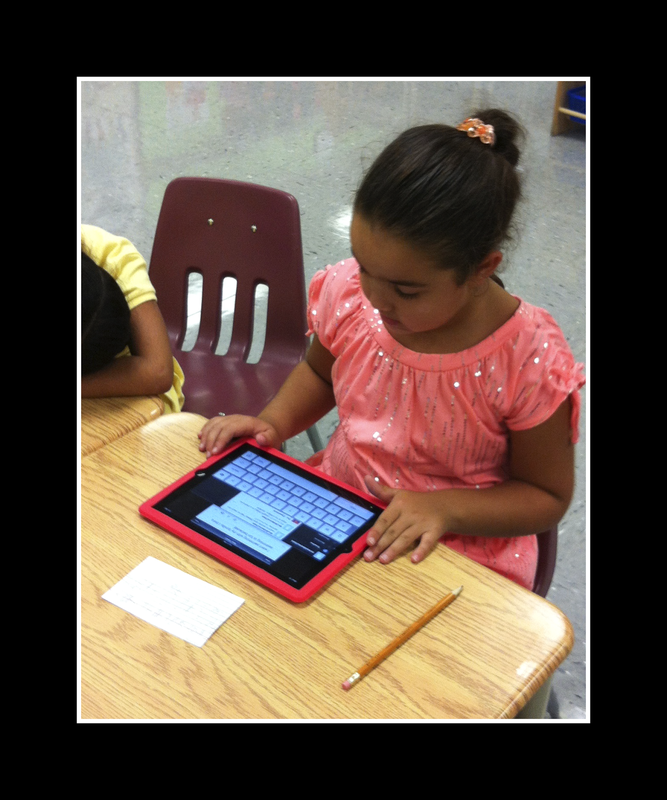 The students then embedded the prompt and their ideas onto their personal blogs. How do you teach writing in your classroom? This blog post is to give a HUGE shout out to the talented and amazing author, Ame Dyckman. If you ever get the chance to invite her into your room through Skype, JUMP at the chance. Her bubbly demeanor and positive outlook is contagious even while dealing with a slow internet and temporary technological issues. + Bot on the first day of school. In return, Ame sent my class of 40 students, bracelets, stickers and bookmarks. My students were so thrilled, they tweeted out their gratitude, questions and pictures to her via our classroom Twitter account. Ame, responded to everyone of my students' tweets with a personal message. They couldn't have been more excited to be tweeting with a real author, of one of our new favourite stories! 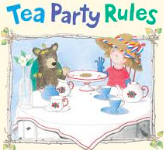 When Ame's new book came out a few weeks back (Tea Party Rules) we received another package in the mail. We had not read the book yet, so I wanted to wait to open the package. 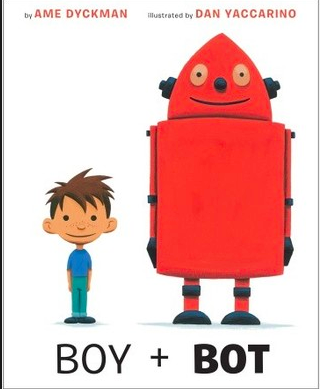 Unfortunately, my trip to the local book store was not a success (I did buy another copy of Boy + Bot because it is so popular in my room.) 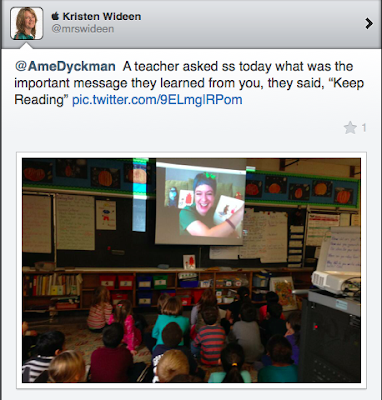 I tweeted Ame and asked if we could Skype so she could read her new book to the class. She got right back to me with a date. This past Tuesday we finally got to meet Ame via Skype. Like I said, she is full of energy and fun! My students were captivated by her for an entire half of an hour. You could hear a pin drop in my room when she was talking and that is very hard to do with 40 seven and eight year olds. Ame read her new book, talked about her love of reading and answered any and every question my class threw at her, including what her favourite cereal was and how old she was. We then opened up the package from her to find buttons, bookmarks and more stickers.